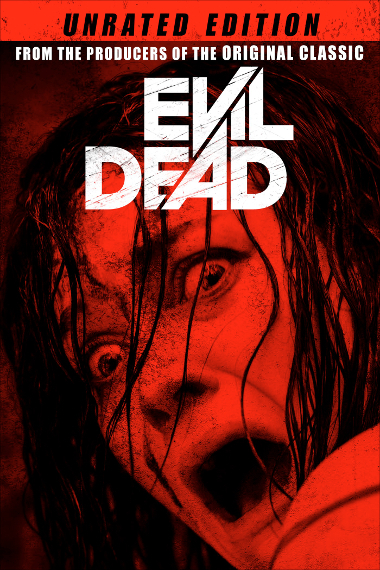 In early September, we reported that Fede Alvarez announced the release of the unrated version of his Evil Dead remake. And it looks like he spoke the truth as a release date is now set for the US. On October 25th, 2016, it will be available in the US. However, there's a downside: it'll only be available as a digital VOD. Maybe the home video release of Alvarez' new film Don't Breathe will bring this version onto physical media, as well. Die Unrated-Fassung wird dabei 5 Minuten länger als die Kinofassung laufen, was dann auch dem Laufzeitunterschied der Extended-Fassung entspricht, welche Anfang 2015 versehentlich im englischen Fernsehen gezeigt wurde. The unrated edition runs about 5 minutes longer and has several extensions in the violence department as you can see in our comparison.